According to VASEP, Vietnamese seafood exports to ASEAN reached 612 million USD in 2017, up by nine times compared to the last twenty years (an increase from 66 million USD in 1998 to 612 million USD in 2017). The number has got ASEAN to the top five important markets of Vietnam. ASEAN has kept being one of the most leading markets of Vietnamese seafood for the first six months. Facing difficulties in some markets made Vietnam’s enterprises turned into others, among of which was ASEAN. Export value of most of the Vietnamese seafood to this market has been positive, particularly pangasius up 37.7%, cutter-fish and octopus 28.4%, tuna 24.5%, frilled fish and surimi 18.4%, shrimp 6.3%, and bivalvia 0.4%. ASEAN has overcome Korea to become the largest market of Vietnamese grilled fish and surimi, making the export value of 43 million USD in the first half of the year. Thailand is the first buyer of Vietnamese seafood among ASEAN countries with the export value of 248 million USD in 2017. Hence, Thailand has become the unique country of ASEAN making to the top 10 largest single markets of Vietnam. Thailand was ranked seventh after the US, Japan, China, Korea, Netherlands, and the UK). The country continues to be the most important market in Vietnam in the last eight months with the export value of 185.519 million USD. Especially, continuous rises in sales have been recorded in ASEAN since 2002 because of increasing demand for seafood. 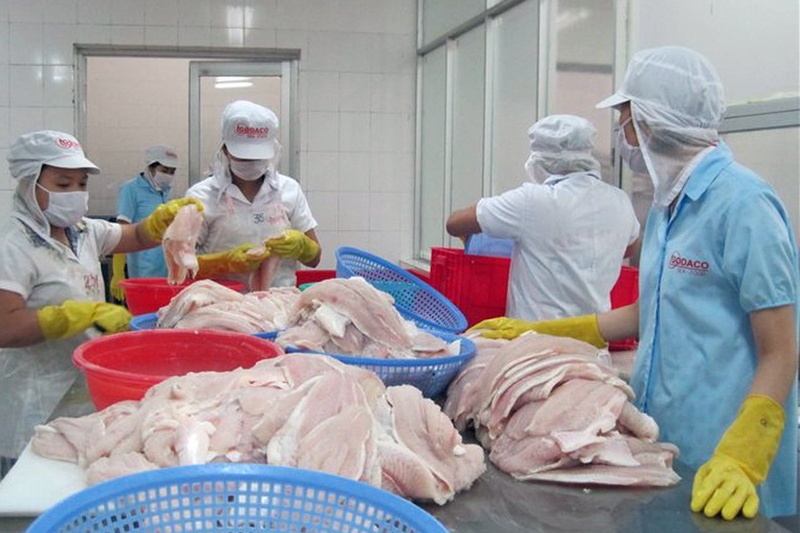 As Vietnamese pangasius faced difficulties in such a traditional market as the US and EU in the last few years, ASEAN emerged as one of a most important market for this kind of fish. According to VASEP, ASEAN is a potential market for Vietnamese seafood. Seafood is important to consumers in the ASEAN region in years. With the population of 632 million people, a demand for seafood in ASEAN might increase continually in the future. Total 24.5 million tons of seafood in ASEAN was consumed in 2015; 36.9 million tons is expected in 2030 and 41.7 million tons in 2050. Consumption of seafood per capita will increase from 38.4 kg/person/year to 51.5 kg/person/year in 2030 and 61.5kg/person/year in 2050. Seafood industry in ASEAN is now reaching 20 billion USD per year and expected to increase by 3.7% in the future. With that high demand of seafood and the establishment of ASEAN Economic Community (AEC), Vietnamese enterprises will have more opportunities to increase their exports to countries in the region once they enhance their competitiveness by product quality and value-added products. With all that, Vietnamese seafood exports to ASEAN may reach one billion USD in the near future.